Breakthrough Starshot, a $100 million initiative aiming to send robotic missions to nearby stars by the mid-21st century, has successfully lounched its first spacecraft. This is the smallest spacecraft ever to be launched in to orbit. In 1957 the Soviet Union shocked the world by launching the first artificial satellite, Sputnik 1, an 83-kilogram metallic orb about twice the size of a basketball that could broadcast a radio message to anyone listening down on Earth. On June 23, 2017, Breakthrough Starshot sent not one but six satellites into low-Earth orbit, riding as supplementary payloads on an Indian rocket launching two other educational satellites built by the European space company OHB System AG. These six satellites are compact, but punch far above their weight. Called “Sprites,” each is a 4-gram flake of circuit-board just 3.5 centimeters on a side, packing solar panels, computers, sensors and communications equipment into an area equal to a U.S. postage stamp. 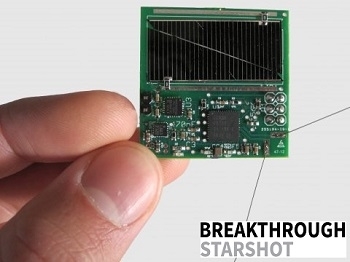 Representatives of Breakthrough Starshot, which is funded by the Russian billionaire Yuri Milner, brokered the deal that sent the Sprites piggybacking to orbit. They also worked with the U.S. State Department to ensure the project did not violate strict federal regulations limiting exports of spaceflight hardware. Manufactured in bulk, low-cost Sprites could be deployed and networked by the hundreds or thousands to create space-based sensor arrays of unprecedented breadth, with each craft so lightweight that it could operate without propellant, shifting or maintaining its orbit solely through the radiation pressure of starlight or the forces imparted by a planet’s magnetic field. More wildly, future iterations of Sprites could become Breakthrough’s hoped-for “StarChips”—spacecraft integrated with gossamer-thin, meter-wide “lightsails” that would travel at 20 percent the speed of light to Alpha Centauri or other nearby stars, propelled by high-powered pulses of photons from a gargantuan ground-based laser array. Progress toward this starry-eyed goal is slow but steady, Breakthrough representatives say, and the organization is set to solicit research proposals for the associated “grand challenges” in optics, communications, materials science and other disciplines later this year. This is another clear demonstration that it is possible for countries to work together to do great things in space. These are European spacecraft with U.S. nanosatellite payloads launching on an Indian booster. For now, much like Sputnik of yore, each of the Sprites in low-Earth orbit carries a radio transmitter that almost anyone might tune in to with relative ease, serving as a real-world demonstration of emerging spaceflight capabilities that could prove revolutionary. The Sprites’ revolution, however, is not being televised, and is presently struggling just to be heard on the radio. One Sprite apiece is attached to the outside of each mothership—the Latvian Venta satellite and the Italian Max Valier satellite, the latter of which also holds four additional Sprites awaiting deployment into space as wholly independent spacecraft. Radio telemetry from minuscule magnetometers and gyroscopes on the deployed Sprites would then be used to track the spacecraft as they shift, spin and tumble, to better understand their orbital dynamics. Ground stations in California and New York have received radio signals from at least one of the exterior-mounted Sprites, but mission controllers are struggling to establish communications with the Max Valier, which may have failed to deploy its own radio antenna. Without that communications link, Max Valier’s payload of Sprites cannot be deployed, and uncertainty lingers over whether both exterior Sprites are actually transmitting. Despite the setback, the representatives are bullish on the mission’s value. Their primary objective was to show that a Sprite’s communications and power systems could work in space -that’s the baseline data they need to pursue further steps. From their perspective, this experiment has been 100 percent successful. According to them, this is the first time they’ve successfully demonstrated Sprites end-to-end by flying them in space, powering them with sunlight and receiving their signals back on Earth. Each Sprite generates only 100 milliwatts of electricity in direct sunlight. That’s not enough to sustain a typical wireless router’s antenna, but sufficient in ideal circumstances to transmit data down from low-Earth orbit at a rate akin to that of a fax machine. More impressively, those 100 milliwatts are also enough to operate Sprite’s onboard microprocessors, which surpass many full-sized satellites from the 1990s in terms of raw computing power. Both motherships are in stable orbits and Sprites have previously withstood long-term exposure to space. In 2011 during its penultimate mission the Space Shuttle Endeavour delivered three to the International Space Station (ISS), where they were mounted outside for three years as part of a materials-science experiment. That mount faced away from Earth, preventing their signals from reaching the planet. But once brought back from space the Sprites were still in working order, happily chirping in radio when bathed in a sunlamp’s glow on a lab bench. Fears of nigh-invisible debris swarms place a ceiling of sorts on Sprites and similarly-sized nanosatellites, which U.S. federal officials have informally forbidden from venturing higher than 400 kilometers above Earth. Below that threshold, the spacecrafts’ orbits decay relatively quickly, allowing them to harmlessly re-enter and burn up in the atmosphere within weeks or months. That’s the unofficial comfort zone for the foreseeable future and collaborators are nevertheless working on methods to make Sprites easier to register on radar. 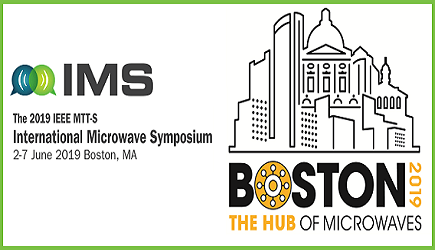 Before they ever reach the stars, Sprites are more likely to first form three-dimensional antennas in deep space to monitor space weather that could threaten Earthly power-grids and orbiting spacecraft. Larger interplanetary probes could deploy swarms of Sprites to pepper promising asteroids, moons and planets with sensors seeking out mineral deposits or signs of extraterrestrial life. Eventually, every mission that NASA does may carry these sorts of nanocraft to perform various measurements. If looking for evidence of life on Mars or anywhere else, for instance, one can afford to use hundreds or thousands of these things—it doesn’t matter that a lot of them might not work perfectly. It’s a revolutionary capability that will open up all sorts of opportunities for exploration.